To take advantage of our exclusive bonus, simply open an account on 365Binaryoption.com by clicking on the link above. Our bonus offer will be automatically acquired. The trading platform used by 365Binaryoption is a tailored-made version of the reputable, reliable and above all innovative platform developed by provider TechFinancials. The platform greatly combines cutting edge technology and a wealth of additional features and tools with a clutter free interface and a simple, easy and user-friendly operation, all of which come together to greatly enhance the trading experience of traders of all expertise levels. 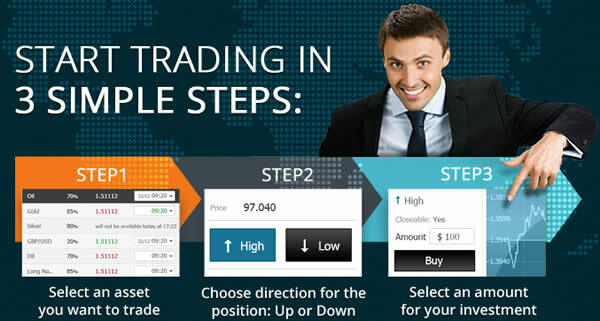 Through a special mobile application, those traders who wish to trade on the go can easily do so, while all traders can also take advantage of the benefits acquired via social trading, since they are able to follow, monitor or even copy the trades and performance of the top 5 traders at any given point in time. As with most of its competitors, 365Binaryoption.com does not only offer the traditional call/put digital type of binary options trading type, but it also allows traders to make use of other trading instruments/types, namely the One Touch and Range option types. In the former the outcome depends on whether the Market Price does or does not reach the Target Price before the option expires, while in the latter the trader’s task is to determine whether, at the time of the option expiry, the asset’s price will fall within or outside the price range. The trading types come with different returns levels as well as different expiry times, meaning that all traders will be able to choose what suits their risk tolerance and skills better and be more likely to succeed. With more than a 100 different tradable assets to choose from, trading via 365Binaryoption affords all aspiring clients with a truly wide and varied selection of assets to be able to place their trades effectively and profitably. 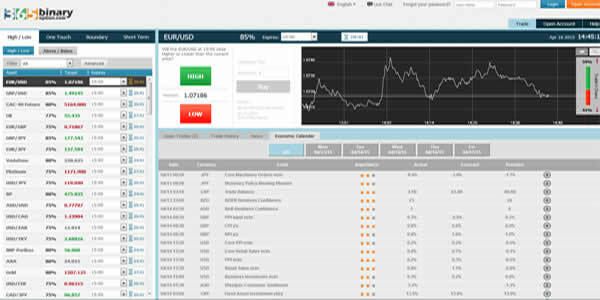 The tradable assets offering at 365Binaryoption includes assets from across the four categories of assets, i.e. forex currency pairs, stocks, indices and commodities and under all categories clients can find all the popular assets as well as less usual ones which may offer great potential for returns as well as the diversification of one’s investment portfolio. 365Binaryoption has on offer four different account types for aspiring traders to choose from, each coming with a different set of perks and prerogatives, which increase as the initial deposit amount that one is willing to commit increases as well. The four account types available are namely the Mini, Silver, Gold and Platinum account. All the account types give their holders full access to all the trading instruments and to all the available tradable assets, as well as full access to the broker’s educational section. Moreover, Silver account holders get an additional 2% return on every trade they make, those holding a Gold account an additional 3% and those opening a Platinum account an additional 4% return. Furthermore Platinum account holders are entitled to 1 Risk free trade (Up to 1K) every month. Holders of all account types can also benefit from weekly sessions with a Senior broker, ranging from once a week for Mini accounts to 4 times per week for Platinum accounts. The minimum deposit amount accepted at 365Binaryoption is set at $200, while there are also maximum daily, weekly and monthly deposit limits that one must adhere to. Depositing funds in your account is easy and fast and can be carried out via most major debit and credit cards as well as via electronic payment, through UKash and CashU. Moreover, funds may also be deposited directly via a bank transfer from a bank account and 365 Binary Option offers the added convenience of a fast bank wire transfer service through Envoy Services, a company registered in the UK and regulated by the Financial Services Authority. However, when using this method the minimum deposit amount is $500, while the confirmation of such a wire transfer may take up to 5 working days. Withdrawal requests are processed back to the original source of funding and if the amount to be withdrawn is bigger than the amount originally deposited, the difference is always allocated via bank transfer. Customers are allowed one withdrawal per month for free, while additional withdrawals are charged with a $25 fee per withdrawal. The 365Binaryoption website is currently available only in English and Chinese, which could perhaps be considered a weakness, but could also simply be revealing the markets that the broker focusses on. Customer support is offered on a 24/7 basis and the dedicated team at 365Binaryoption vow to always do their best in delivering outstanding support and help to all their clients. They can be contacted either via live chat online, through email or on the phone to one of the six local numbers currently available in the UK, Australia, Singapore, Ireland, Canada and South Africa. 365Binaryoption considers it its commitment, as a premium broker, to be providing its customers with the best educational materials in order to assist them and enhance their trading experience. 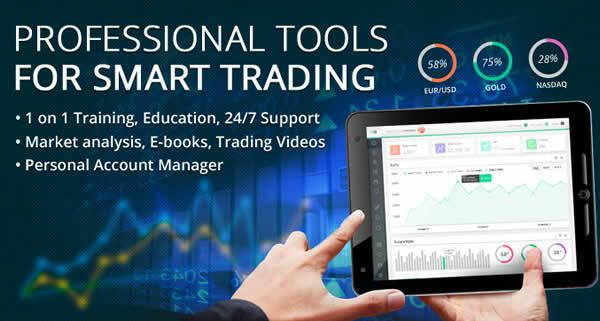 This is why they offer a very comprehensive and information packed education center, which contains a multitude of videos, eBooks and interactive courses for both beginners and advanced traders, as well as neatly explained trading strategies, economics courses and a useful economic calendar. Besides the obvious drawback that it is not yet regulated in any jurisdiction, there is little other that anyone could argue is lacking from 365Binaryoption, preventing it from claiming to be a premium broker and a good place for anyone to trade binary options through. Since this is a relatively new entrant on the booming binary options scene it would be reasonable to expect that it will seek to soon ensure the relevant licenses and get regulated so that aspiring traders will feel safer when trading on their platform. Having said that, their offering is already pretty impressive, both in terms of the assets available as well as the overall structure of their site, the trading options, the additional tools and features as well as their enthusiasm and professionalism that seems to underpin their operations. Give 365Binaryoption a try to discern for yourself if they are the right binary options broker for you. I don’t recommend this company at all!!! He’s an EC council certified hacker who using his skills to recover lost funds from these scam brokers, Sally referred you in case he asks. See how they have good reviews always? Its to lure us into their trap of being perfect. I lost $580000 over 5 years, I contacted a hacker to help me retrieve my deposits back. Email me at I will give you their contact.